Athletes for the Great Chesapeake Bay Swim should utilize the Park and Ride on Rt. 8, and board the appropriate bus for transport to Sandy Point State Park. Overflow parking will be located at Matapeake Elementary and Middle Schools. Follow posted signs. Spectator parking will be located at Matapeake Elementary and Middle Schools. Follow posted signs. Shuttle Buses will provide transportation throughout the day and will continuously loop from the spectator parking area to the Park and Ride and then to the drop off point at Bay Bridge Marina. All parking is free of charge. 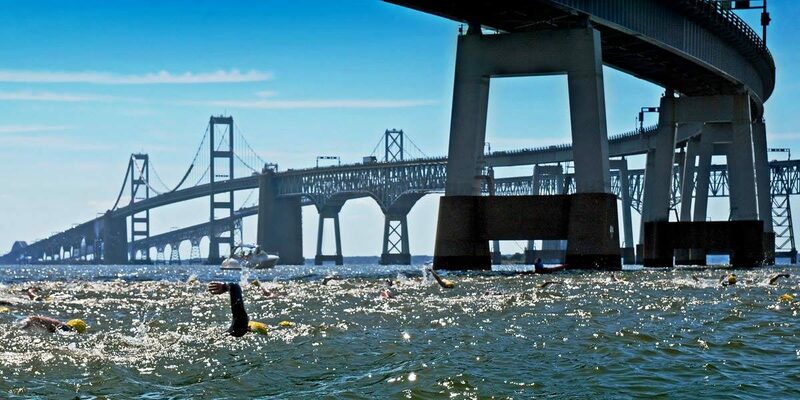 THERE WILL BE NO ATHLETE OR SPECTATOR PARKING AT BAY BRIDGE MARINA. ATHLETE AND SPECTATOR VEHICLES WILL BE PROHIBITED FROM DRIVING DOWN PIER ONE ROAD TO THE MARINA.